Bakchormeeboy: How are you putting your own spin on M&A and differentiating it from previous productions? Yingxuan: I didn’t consciously set out to create a different version of Mergers. My goal is to make it an emotionally real and rich production – that the moments are filled and charged, that nuances are explored and interpretations of moments and lines in the text are rigorous and, perhaps, fresh. At the same time, because it’s being done in 2019, the conversations around the issues and how we interpret and access parts of the text might be different. Our attitudes towards relationships etc. (whether personally held or just an awareness of attitudes of people around us) might also be quite different. 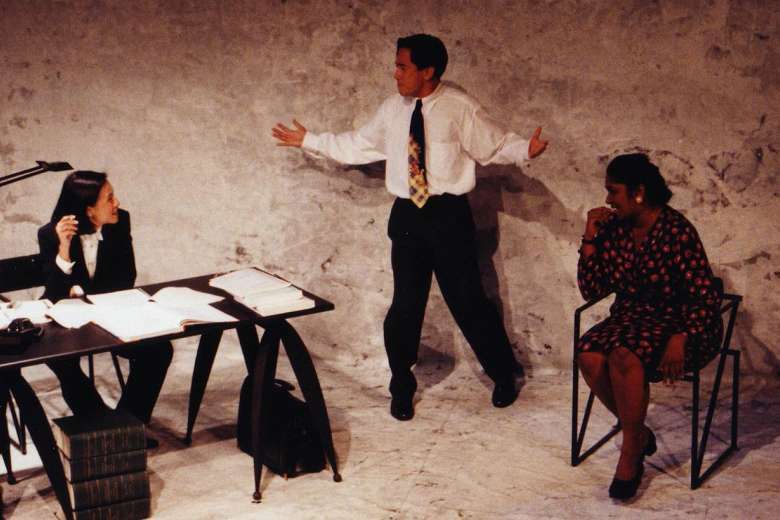 Bakchormeeboy: Years on from its original staging, why does Mergers and Accusations remain relevant even today? 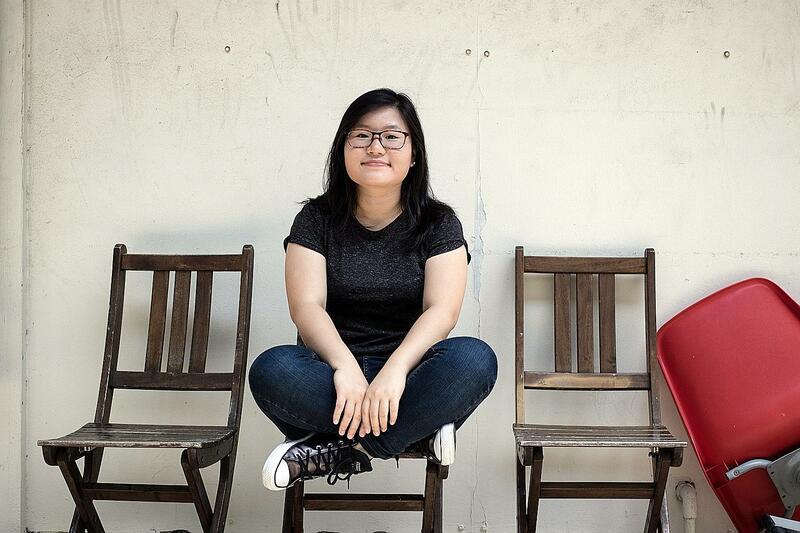 Yingxuan: At its heart, I feel that the play explores issues that are fundamentally human. How do you love responsibly, while pursuing personal happiness? How do you take care of someone else’s needs while navigating what’s important to you? I think it’s also worth mentioning that there are still people who struggle with their sexuality, perhaps not in more liberal circles, perhaps not to the same degree, but these people exist. Stay home dads are still not a thing that’s widely accepted. 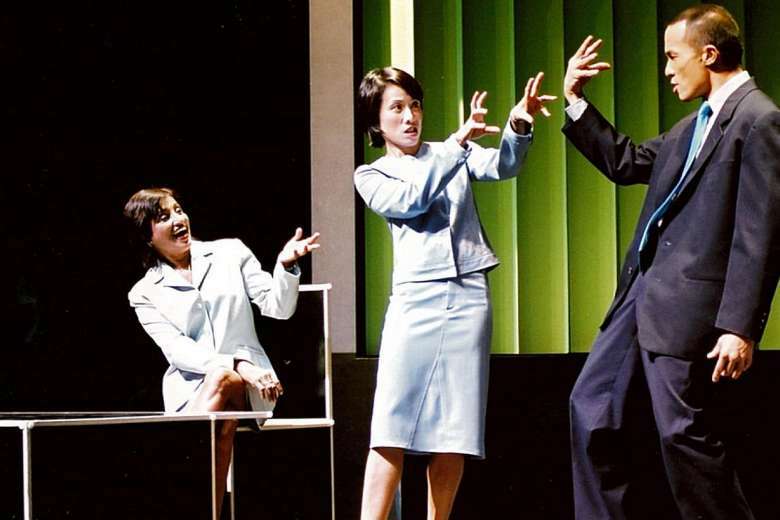 While not a main theme, the play also hints at workplace harassment, which is sadly still an issue today. Bakchormeeboy: What is your personal take on what it means to feel ‘the weight of a stone in a pocket’? Yingxuan: I remember a story I read when I was 12 or 13. It’s about a young person who finds life overwhelming, and every night they would put a small stone on their stomach to feel a comforting weight, an anchor of sorts, so that they can feel safe and fall asleep. That’s what I think about. It’s a stone that you kind of wish you didn’t have to carry in your pocket (or place on your belly) but are kind of glad to have nonetheless. Bakchormeeboy: Tell us about your character and how you’ve been preparing for the role. 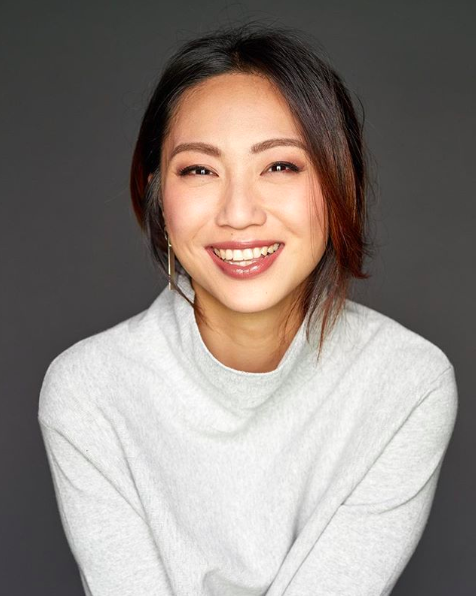 Shu An: I play the protagonist – lawyer Ellen Toh, she is very intelligent and driven, but in some ways very confused when it comes to her love life. 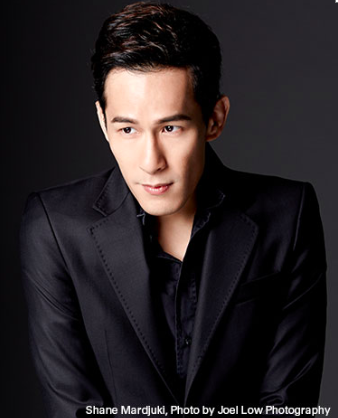 Bakchormeeboy: Do you feel you’re adding a different, contemporary dimension to your character, as opposed to previous actresses in previous stagings? Do you feel pressure to ‘live up to’ previous performances? Shu An: Hmm, I think by nature of the fact that I am a product of a different time than the play was, it would influence the way I view the play. I feel we have a lot more access to information about relationships now. People are more aware and accepting of the many types of partnerships. There are communities online where people can talk to other people from around the globe about how they navigate an open relationship, for example. The fact that there even is an LGBTQ community now when Eleanor told us that when she first wrote it, there was no “community” to speak of. A lot has changed! I haven’t watched it before though, so I wouldn’t know what I’d be doing differently. Hahaha I’ve heard SO MUCH about Kheng Hua’s phenomenal performance, and she is synonymous with Ellen Toh, AND people have asked me that so many times! There is definitely pressure, especially since there might be people who will be watching to compare the productions, but what to do! Haha! It is a good thing that the script is incredibly meaty, Yingxuan is also pushing us very hard in examining the characters and their relationships, and I am finding so much joy in discovering Ellen, so all that is keeping me occupied! Bakchormeeboy: For those who feel like they’d have no interest or relevance whatsoever in watching a play about LGBTQ issues, what would be your counterargument as to why it would be a relevant watch not just for queers and queer allies, but for everyone else as well? Shu An: I think this is largely a story about relationships. A commitment to a long-term relationship based on terms and conditions both parties had every intention of keeping to. But then life happens, things change, they change and the relationship then has to change with them, but can it? And I think this applies to all types of relationships; romantic, platonic, professional, etc Dealing with people is so fundamental to the human experience and I think this play deals with it with such depth and sensitivity. Yes, she is lesbian, and in Singapore in the 90’s, when it wasn’t really ok for her to be lesbian. (Things are better now but it still isn’t completely ok.) In this play, you can see what it can do to someone and ultimately those around them when people are denied their full humanity and their truth and this applies to things other than sexuality, too. But don’t watch anything you aren’t interested in! Hahaha time is precious. In terms of relevance though, even if you are not LGBTQ and/or know people who are, i think it would be relevant to you in some way or another? Many of the community’s “issues” are really them having to deal with society having issues with them, isn’t it? Like, it wouldn’t be “gay marriage”, it would just be “marriage”. It wouldn’t be gay rights, just human rights. Shu An: Carrying around a weight, a reminder. Some days it is comforting, some days it is not so pleasant. But to me, it is like something I need to keep close till I’ve learnt what I’m supposed to learn from my relationship with it, then I can give it away or leave it somewhere, which I was actually always free to do.